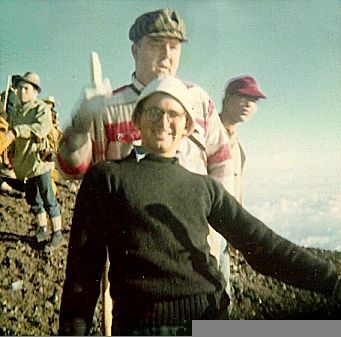 Frank Olderr climbing Mt. Fuji. 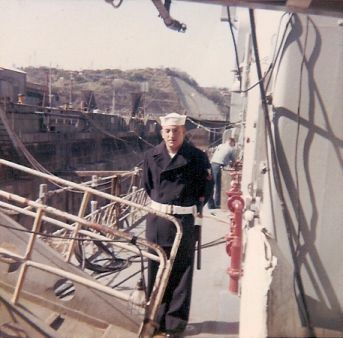 Ken Bailey with the COLLETT drydocked in Yokosuka.